Here are Iguana HQ we were recently saddened to hear of the passing of Graham Wiggins, AKA, Dr Didg. It’s with a heavy heart and sadness that we announce the unexpected passing of our dear friend and amazing musician Graham Wiggins (a.k.a. “Dr Didg”) on September 7th. We have no details at this time other than he passed in his sleep. This is quite a shock to us, assuming that we were going to remain in touch for a very long time. We’ve had nothing but amazing times and learned a lot through our travels with Graham. He was one of the most well-informed and classiest persons you could know. It would be safe to say that Graham not only had a huge brain (he was a legitimate scientist who had a PH.D. in Physics and later developed RF technologies for Biomedical imaging) but he also had a huge heart. The man was extremely sincere and giving to others at all times. He loved with his music and shared it with the world. 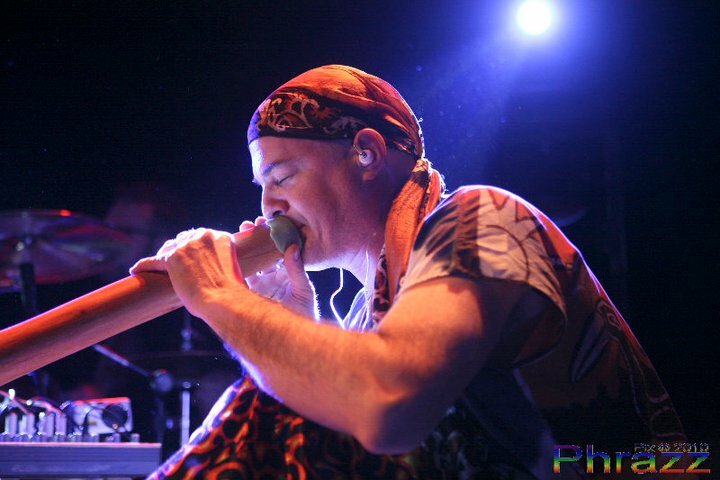 Back in the 1990s we had the bizarre sight of the ancient aboriginal instrument, the didgeridoo, becoming popular and being thrown into all sorts of music from folk to full on techno. There was period when it was impossible to walk down a high street without falling over a dreadlocked trustafarian busking with a didg. However, before it became a cliché, there were a few adventurous souls experimenting with it and making genuinely original and inspirational music with a didgeridoo. One of the early pioneers – and probably the best – was Graham Wiggins. As any music fanatic will understand – no matter how much music you have in your collection – there are some tracks that embed themselves so deeply into your consiousness that you never forget the first time you heard them. This was the case with the first time we heard the work of Dr Didg. In the summer of 1990, whilst the iguana tribe walked around festivals, our attention was regularly grabbed by a sound drifting out of various sound systems, the sound of a didgeridoo accompanied by acoustic guitar. One tune in particular started burying its way into our consciousness. We can remember like it was yesterday, at a free festival in Bala, North Wales, walking up to a gang sat around a campfire listening to this infectious music on a ghetto blaster to ask what it was. The answer was Baka by a band called Outback. The core of Outback was Graham Wiggins (Dr Didg) on Didgeridoo and Martin Craddick on acoustic guitar. When you become obsessed with a particular sound you can sometimes find yourself going to great lengths to get hold of a copy and to catch it live. This was the case with Outback. We soon had our hands on their back catalogue and did our best to catch them live whenever we could. The love affair did not last long though because they sadly split in 1991, not long after we had discovered them. 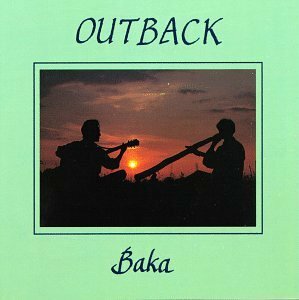 “Graham’s passion for music and his phenomenal rhythmic didgeridoo playing are what pushed our band Outback into the public eye back in the late 80’s”. He was a complex, intense but highly compassionate man. He had a huge intellect and imaginative mind that as well as gaining him a doctorate in solid-state physics, also enabled him to see things in a unique way. This got us exposure on mainstream tv with his “orchestral didgeridoo” and his slowed down film of playing the didgeridoo through a glass tube”. “Although I haven’t seen him in person for many years I have been in touch via email. It was such a shock to hear of his passing. The world is a poorer place without him. Long live his music”. After the split Martin went on to form Baka Beyond, one of the most innovative and original multicultural bands of the time and indeed today. But that is a whole other story (read archive interview with Martin Here). After Outback split Graham spent two months in early 1992 living in the Aboriginal community of Galiwinku on Elcho Island, off the coast of Arnhem Land, in Australia’s Northern Territory, where he studied the advanced traditional didgeridoo techniques of the area. 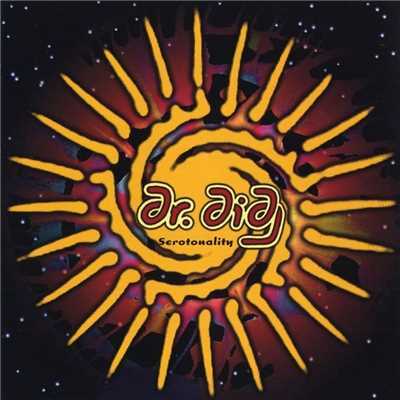 In 1993 he formed Dr Didg, an outfit mixing the sound of the Didgeridoo with rock, jazz and dance music to create a sound very different from Outback, but no less innovative and original. Unlike Dr Feelgood, New York born Wiggins was an actual doctor. He first taught himself to play the didgeridoo while a physics student at Boston University in 1982, then in 1985 relocated to oxford to complete his doctorate. Many of the instruments he played were invented and built himself. As well as a string of tours and albums under the guise of Dr Didg he also performed with other artists, including the Grateful Dead. In 2000 he moved back to Boston and after a brief hiatus returned to touring in 2010. His two albums with Outback are available to download for free and legit by going to the March Hare website. Go on – check them out – your life will be fuller for it.